This course will explore the origins of the office of class leader in the Wesleyan Methodist tradition. 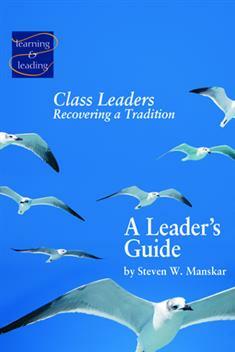 It examines the need for recovering the lay pastoral ministry of the class leader for the twenty-first century church. Participants will see how the ministry of Certified Lay Servants intersects with that of the class leader. NOTE: Accountable Discipleship is a prerequisite to this course. Please note that the Participant's Guide for this, Class Leaders: Recovering a Tradition, by David Lowes Watson, is available from Amazon.